Sample tweet: "Trying to Inception Angie into buying Lucky Charms at the supermarket today. It would work if Grizz wasn't such a terrible architect." 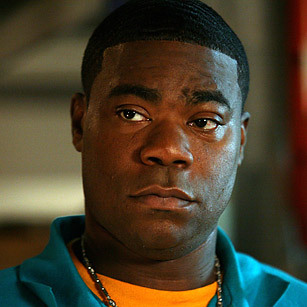 What's the difference between the real Tracy Morgan and the character he plays on 30 Rock? We think it's that one says what the other only thinks. On this feed, the fictional diva takes his outrageous demands and Liz Lemon rants to the Twittersphere, spreading his larger-than-life personality to all that will listen. His oft-rambling, always hilarious tweets show the hidden side of the star of TGS with Tracy Jordan  an unpredictable and arrogant one, sure, but infallibly laughable.